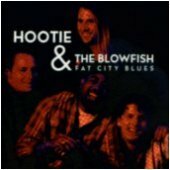 Fat City Blues is a good bootleg to have merely because of it's setlist. The sound quality isn't very good, but the songs the band plays more than makes up for it. There are some real rarities on this CD. If you can pick it up, I'm sure you'd like it. Don't be put off by the sound quality, cuz remember, it is LIVE!! If you would like your thoughts on this bootleg to appear here, please feel free to email me your review at hootie4life@hotmail.com - I'm always looking for more reviews.